It's time you all know that I'm a big wine fan :) I do NOT like beer at all but wine is right up my alley! 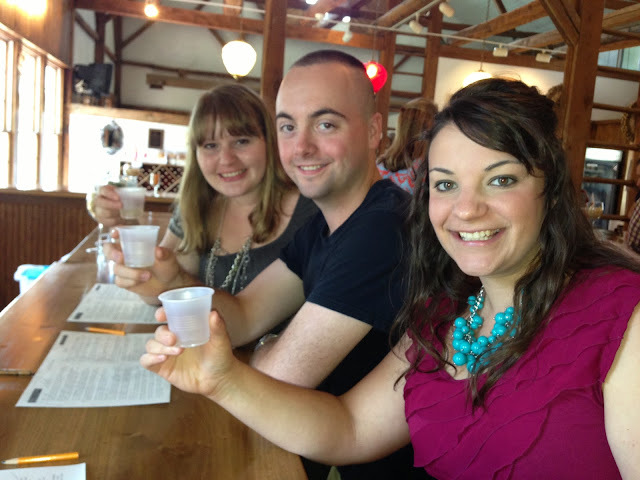 This weekend hubby and I went wine tasting in our area with some friends and I thought I would share a couple photos! 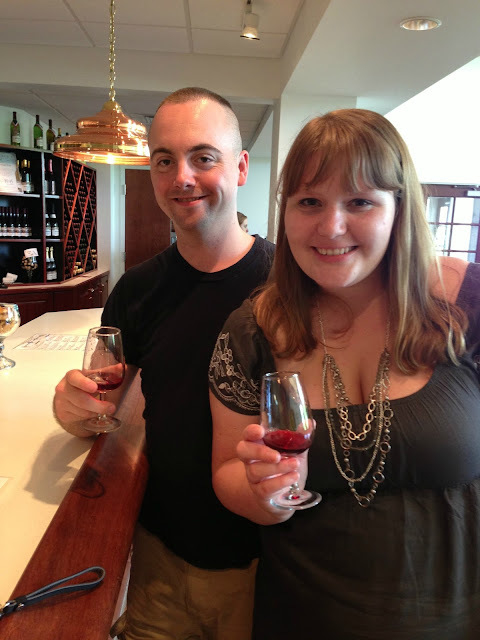 There are a couple different wineries only about 45 minutes from where we live in the Kutztown, PA area so we made an afternoon of it and visited four. The first one we went to was called Vynecrest - hubby and I have been here twice before and we really like it! It has a very friendly atmosphere and the wine is yummy - not too expensive either. 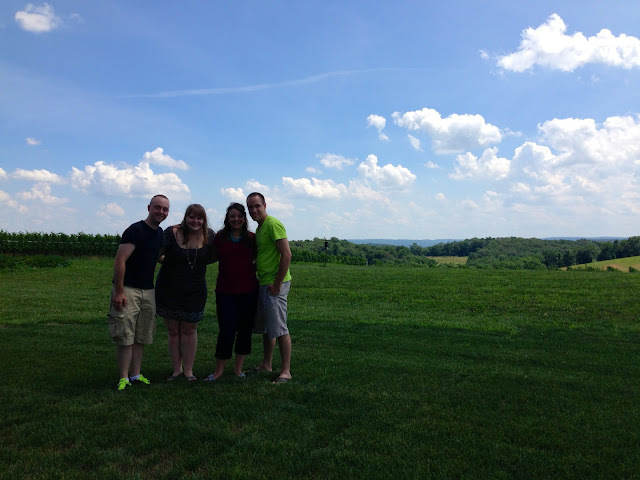 Next one we went to was called Clover Hill Winery. This winery is larger and has more of a commercial feel to it. Not quite as cozy, but they still make yummy wine. 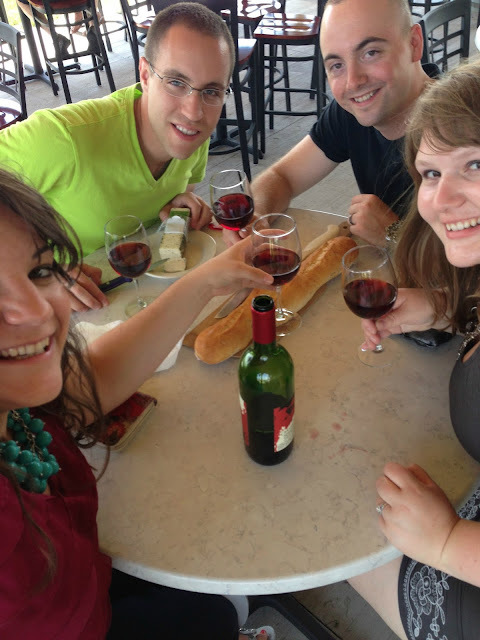 After our tasting we bought a bottle, a fresh baguette and a block of cheese and sat outside the winery to enjoy. Hello delicious!! This wine was called "Clink and Drink" very fitting!! Such pretty views! Our town where we live is a little more suburban so it's nice to visit places a little further out in the country and enjoy the scenery. Last place we visited was Pinnacle Ridge (didn't take any photos here). This winery is in the bottom level of an old barn. It has a very cool atmosphere, but they gave the tiniest pours ever for tasting. Like half a sip! Boo. But we still had a blast. Look at all the wine we brought home! I think I need a bigger wine rack. Like, seriously!! This was our second time wine tasting at a couple places since we were married. We love it! It's nice to support some local wineries instead of always buying what's on sale at the state store and then having some fancy wine for special occasions. BUT it's probably good for our wallet that we don't go too much more often. After you taste them you just have to buy some! 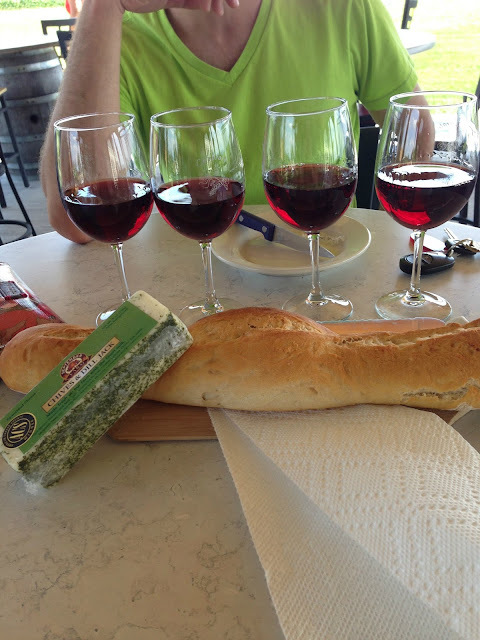 Do you have any wineries around you that you like to visit?